1) Bilingual: Life and Reality by François Grosjean — Professor Grosjean is no stranger to bilingualism. Not only is he one (English/French), but he has basically dedicated his career to this topic and his expertise includes code-switching and borrowing – two of my favorite areas when it comes to bilingualism. He’s written other books too, such as Life with Two Languages and Studying Bilinguals. I’ve only read this last one and I devoured it as soon as I got my hands on it because I was able to relate to so many of the things he wrote about. His blog, Life as a Bilingual, which I’ve linked to many times on our Facebook fan page and in Week in Links for #BilingualKids, is an extension of his book and all his work. Highly recommended! 2) Raising a Bilingual Child- by Barbara Zurer Pearson (one of our own experts) — A comprehensive and versatile handbook that provides parents with both an overview of why they should raise bilingual children and detailed steps they can take to integrate two languages into their child’s daily routine. Pearson summarizes bilingual research and explains findings in terms all parents can understand. A Ph.D. in Applied Linguistics, Pearson is a Research Associate in Linguistics and Communication Disorders at the University of Massachusetts Amherst, and did much of her ground-breaking work on bilingual acquisition and assessment during the 20 years she was at the University of Miami. This book is also available in Spanish under the name Consigue que tu hijo sea bilingüe. 3) Bilingual by Choice by Virginie Raguenaud – This is another great book to read if you’re raising children with more than one language. 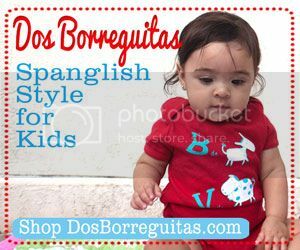 It is extremely easy to read and has tons of useful resources including activities and techniques for making sure your children stay bilingual. 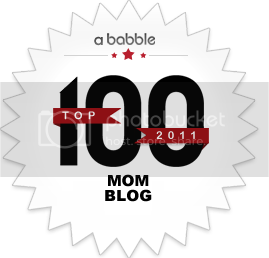 I particularly enjoyed the uncommon ideas she shares for exposing your bilingual children to the minority language. Raguenaud is bilingual and is raising bilingual (English/French) twins. 4) 7 Steps to Raising a Bilingual Child by Naomi Steiner MD (also one of our experts) and Susan L. Hayes. — In this easy to follow book you’ll learn how the brain learns more than one language, explore common myths, get answers for frequently asked questions, and get an array of resources available to families. Packed with insightful anecdotes and powerful strategies, this is a one-of-a-kind guidebook for those seeking to provide their children with the experience of growing up bilingual. Naomi Steiner, M.D., is a developmental-behavioral pediatrician at Tufts Medical Center Boston. Dr. Steiner is an expert in the methods that are used to teach children more than one language, and she works closely with many bilingual and multilingual families. She is raising two multilingual children. Susan L. Hayes is a writer and editor. 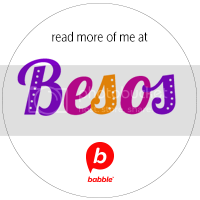 5) Bilingual is Better by Ana L. Flores and Roxana A. Soto — Although we’re tooting our our horn, this list wouldn’t be complete without our own book we wrote on raising bilingual and bicultural children in the U.S. from the point of view of two Latina moms currently attempting to do just that. You can say our book is an extension of our blog in that we write about bilingualism topics from a very personal point of view. But it also contains a bit of a historical perspective on Latinos in the U.S. as well as an entire chapter devoted to dual language/bilingual education. 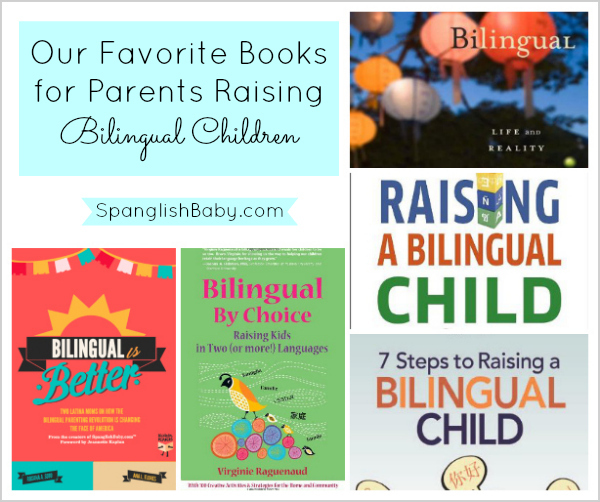 What’s your favorite book about raising bilingual children and why? Great list! I would also add Annika Bourgogne’s book, Be Bilingual. It is full of practical, concrete tips for multilingual families. Will you be coming back to West Palm Beach anytime soon? I really enjoyed the show. I have to say that for the past couple of hours i have been hooked by the impressive posts on this site. Keep up the great work.